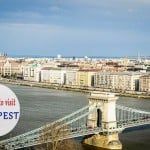 If you ask any traveler who visited Budapest where to have a drink in the Hungarian capital, they would definitely name you one of the mythical ruin pubs of Budapest. But what are these ruin bars exactly? They are literally bars in ruins, but they are not at all depressive places, but charming bars with a lot of identity. Budapest, just as other big cities, have many buildings that has deteriorated in them. 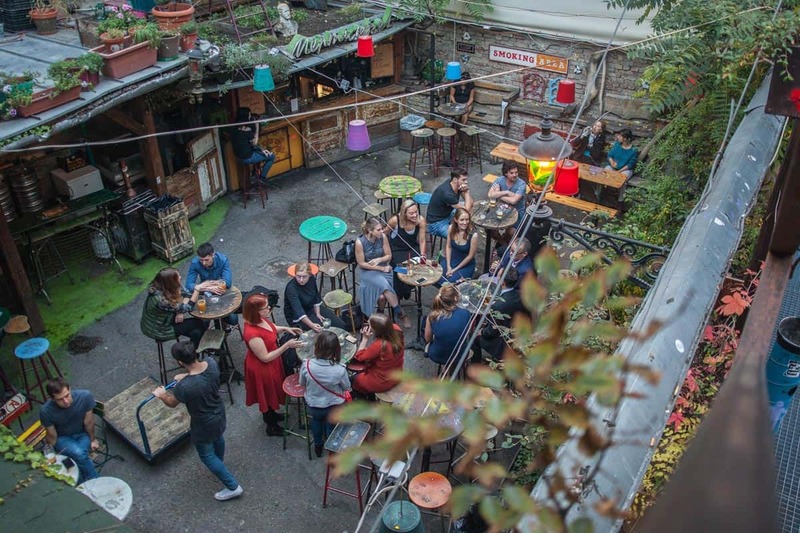 At the beginning of the new millennium the owners of Szimpla Kert had the great idea that best way of reutilizing these ruinous buildings is to convert them into bars. It was then that the first ruin pub of Budapest, the Little Szimpla (later became Szimpla Kert) and due to its success many other buildings that were to be tore down were converted into ruin bars with decadent and alternative atmosphere. This is how started the success story of ruin pubs in Budapest, and nowadays the Jewish Neighbourhood (District 7) is full of these bars. 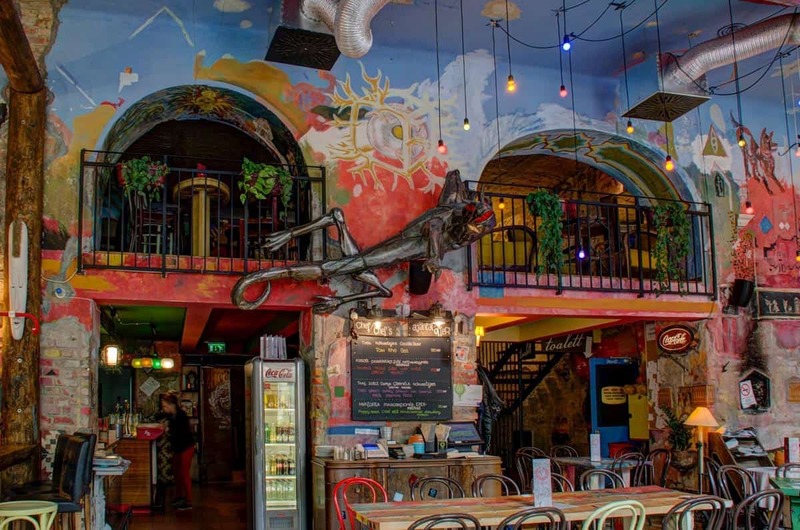 They are all characterized by original decoration, cool ambience and they are the preferred option for young people to have a drink in Budapest in the afternoon or even to spend the whole evening. 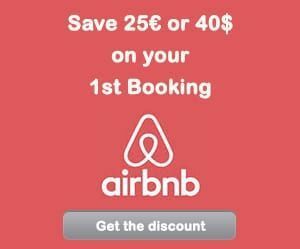 We have to emphasize that nowadays these bars offer much more than being a place to have a drink in Budapest. 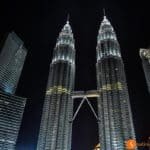 They are institutions that organize local markets, movie projections, free concerts and other interesting events that converted these ruin bars into reference points of the local culture for both tourists and residents. 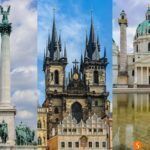 Herein, we will show you the 10 best ruin pubs in Budapest. The order is alphabetic and not a classification amongst these ruin bars. Address: Ferenczy István u. 5. Csendes Vintage Bar & Café opened its doors in the place of a restaurant that was in his place previously. 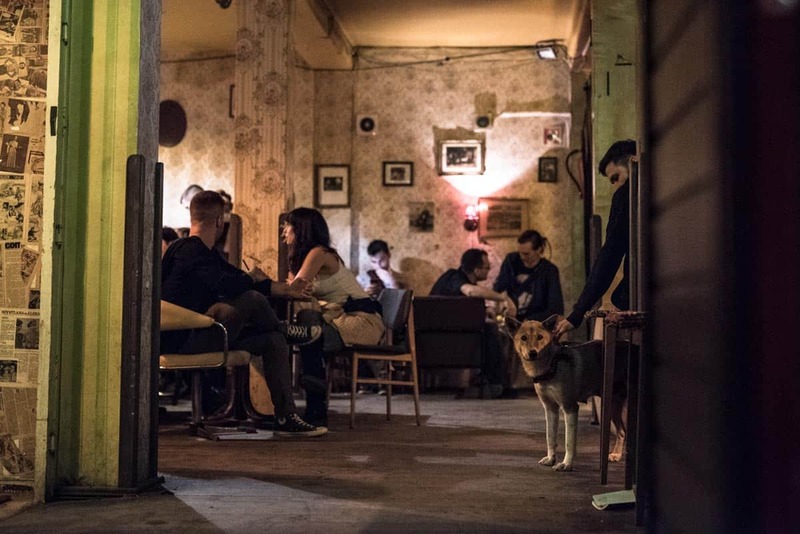 Amongst the best ruin bars in Budapest Csendes Vintage stands out with its surrealist interior design which was created by reutilizing pieces of waste. The bar has a different aspect during the morning when it works as a café, a romantic meeting point of couples, whereas during the evening and at night, it becomes a lively bar. In addition to the ample selection of food and beverages, Csendes Vintage also offers a space for social activities such as board games and it also hosts cultural events such as concerts and movie projections. The philosophy of bar is to create an area where people of different age and social class come together to spend some time in a calm and intimate place. Address: Ajtósi Dürer sor 19-21. Dürer Kert is one of the those ruin pubs that can be found relatively far from the District 7. It is situated very close to City Park (Városliget). Nevertheless, both the fascinating history of the building and the diversity of activities make spending some time in this bar worthwhile. The history of the building dates back to the 19th century when it was a nun’s school and after the second world war it became property of the communist party, and where János Kádár, head of the Hungarian communist state swam occasionally. The building finally ended up as a property of the main university of Budapest and in 2007 Dürer Kert opened here as a great ruin pub. In the garden, which is the gem of this ruin bar, apart from having a drink, you can play boules (petanque), darts or simply relax. Both in the garden and the indoor places you can enjoy a large variety of cultural events from movie sessions to rock or techno concerts during the whole year. 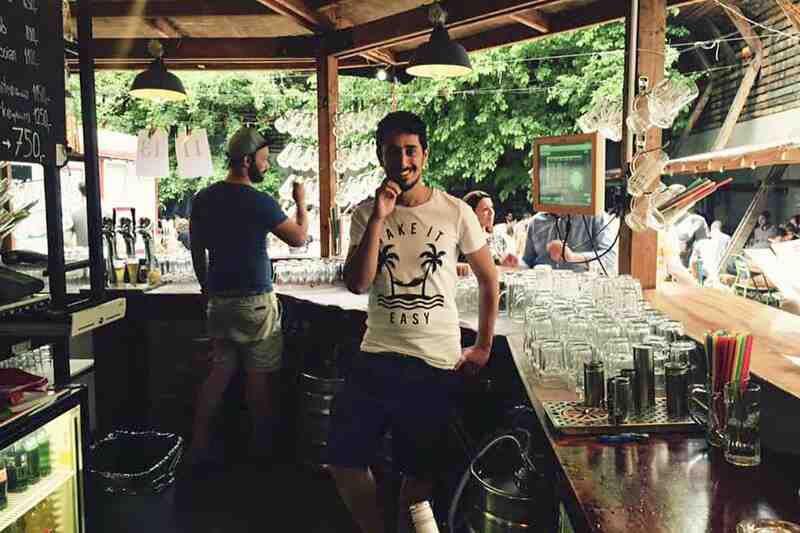 One of my favorite ruin bars in Budapest is Élesztőház (many simply call it Élesztő), situated few hundred meters from the house where I stayed many times when I visited Budapest. It’s situated in an area that is much calmer than the Jewish neighbourhood where most of these bars are found. The name of the bar means “yeast” which nicely sums up the profile of this bar, as since 2013 a large selection of craft beer has been served here. More than 20 different types of craft beer served day by day include the best from both Hungarian and international breweries. 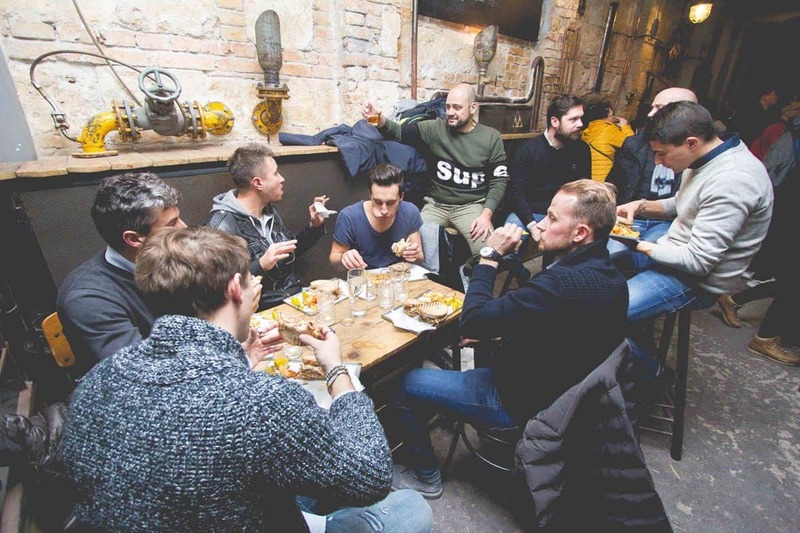 Élesztő is also much more than a simple bar, since they offer different kinds of cultural events, where the best craft beer can be tasted in an underground and inspiring atmosphere. 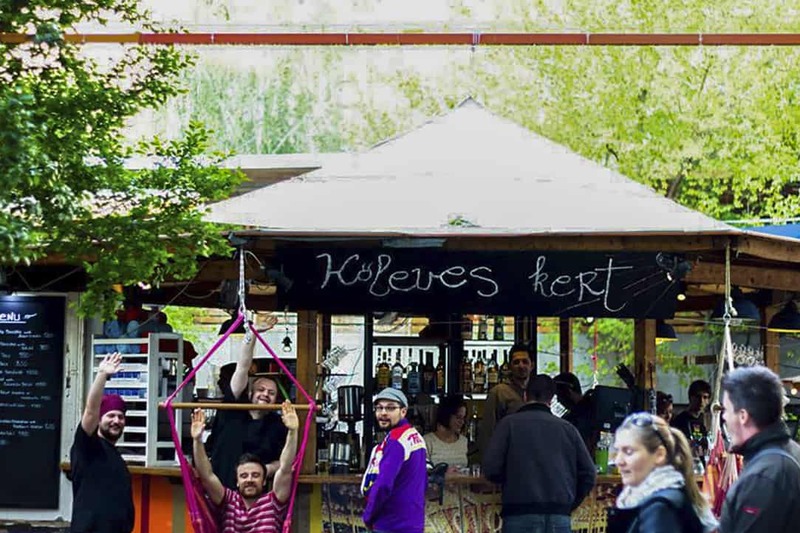 Ellátó Kert is one of the newest contenders in the ruin pub market that opened its doors not so long time ago. The relaxing atmosphere and the original furniture rapidly converted this bar into one of the favourites of the District 7. Apart from being a great place to have a drink in the open patio, this bar is also a favourite of the lovers of Mexican cuisine, since they prepare delicious tacos in the restaurant. Inside you can find table football, where you can have some fun with your friends. 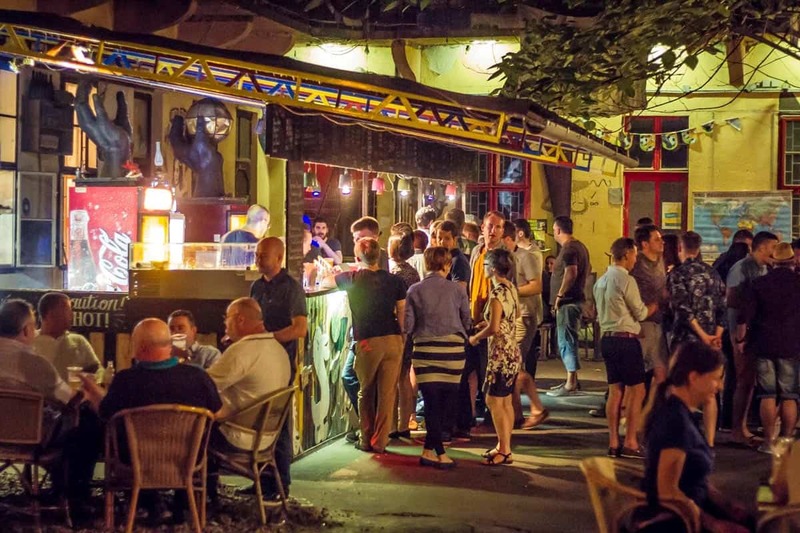 The Grandio Jungle Bar is found in the patio of probably one of the most authentic hostels in Budapest, the Grandio Party Hostel. The dense vegetation forms part of a scenery together with works created by contemporary artists thar has created a colorful and always lively space. This ruin bar is open during the day and also at night; and it’s a popular meeting point for young people that want to either just have a drink in a relaxing atmosphere on a summer afternoon or it’s also a great place to meet up for the first drink before going out at night. 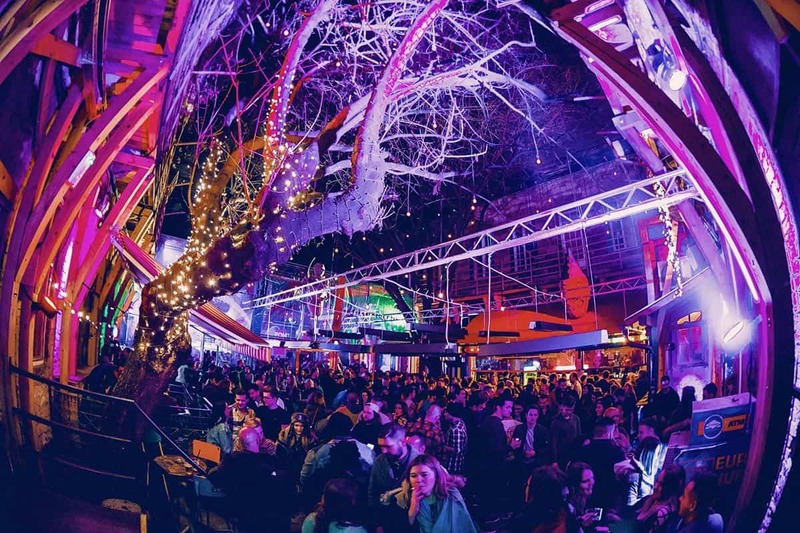 The Grandio Jungle Bar also offers a lot of musical events and all kinds of parties. Instant-Fogas has probably the most impressive dimensions from the ruin pubs in Budapest. It was created in 2017 from two bars that had already been important players in the world of ruin bars. Instant was opened in 2008, but after a few years it has been transformed into an icon of underground culture with some of the greatest parties and concerts in town. It was on the verge of being closed, but it raise from its ashes when it became part of the Instant-Fogas brand. Fogaskert, the other half of this new ruin pub was opened in 2009. Together, they have become one of the most known clubs in Budapest. Nowadays Instant and Fogas go hand in hand together with other spaces that have been integrated into this large cultural complex that contains restaurantes, bars with terraces and party halls. Liebling is an islands of calmth, LÄRM is the favorite of the lovers of underground techno music, in FRAME they serve delicious breakfasts, ROBOT is for rock music fans, whereas PONT is one of the favorite places of university students. 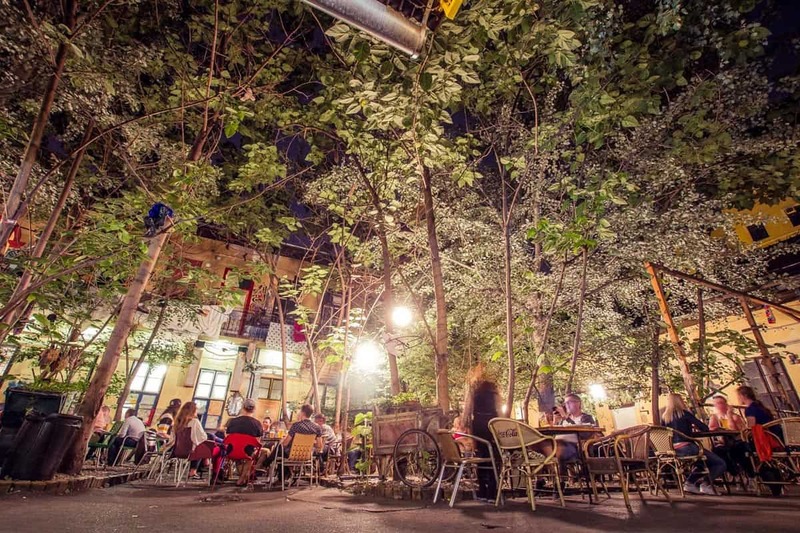 In the heart of the Jewish Neighborhood in Kazinczy Street, known simply as the street of the ruin pubs in Budapest, you can find Kőleves Kert (Garden of Stone Soup is the literal transition of its name), another indispensable place to get to know in the area. It opened more than a decade ago with its pleasant and spacious patio, and it’s one of my favorite places to have a beer on a warm summer afternoon. Kőleves defines itself as a modern restaurant that offers meals prepared only from bio produce. Many students come here in the afternoon, and it usually becomes quite busy at night. You might have the feeling that you are in a bar typical of a small town that has been adapted to the decadent atmosphere of the ruin pubs in the capital. One of the most spectacular designs you can see in the ruin bars of Budapest, you will find in the interior of Kuplung. 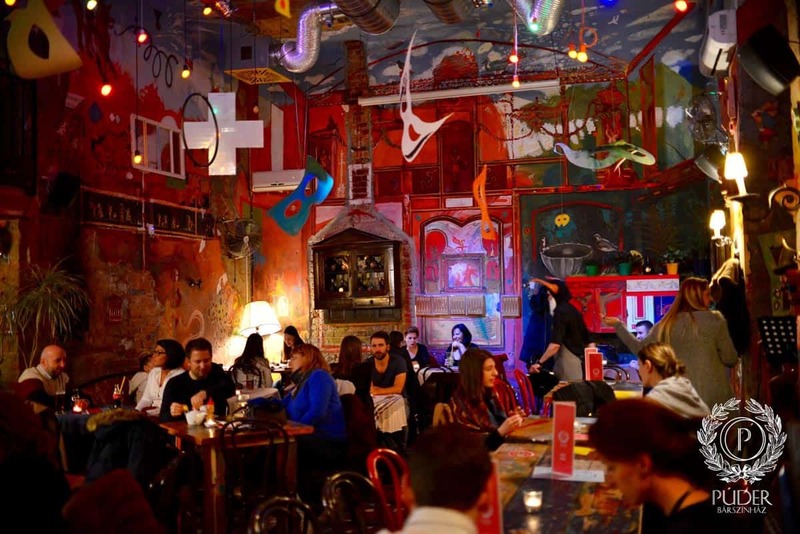 Several artist groups participated in the creation of this design, and these artists also fill the space of this bar with interesting cultural events such as cinema, theatre, exhibitions or parties. Both the outside garden or indoor, the design is original, and it’s worth spending some time here to check it out. 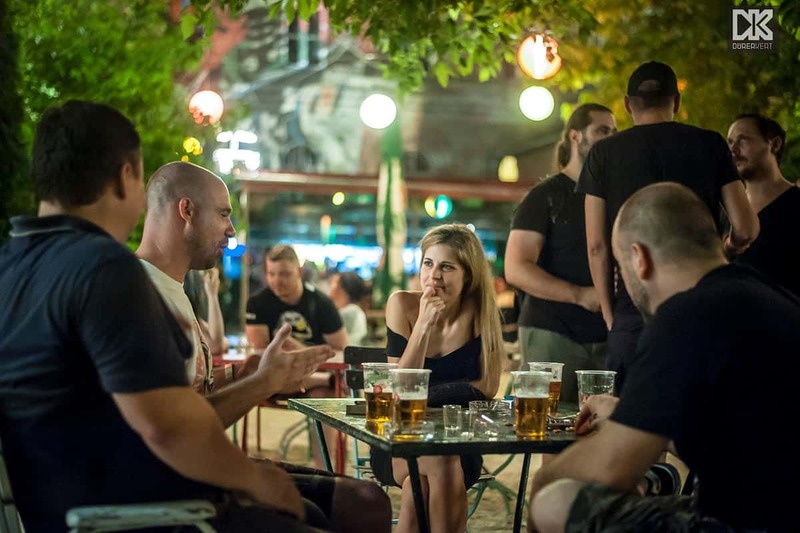 On Ráday Street (Ráday utca), one of the streets with the major selection of restaurants and terraces, you will find Púder Bárszínház (Powder Bar Theater translated literally), a sophisticated example from the selection of ruin pubs in Budapest. The interior decoration was created by the team of the well-known deigner Bertalan Babos Zsili who had already participated in the design of other ruin bars. Collage, surreal sculptures together with colorful tables and chairs are all part of the unique decoration. Púder Bárszínház also follows the trends of the latest years and in its interior the atmosphere of a bar is getting mixed with culture. In addition to serving delicious meals and all kinds of drinks, Púder also gives space to musical, theatrical and other kinds of cultural events. There’s also a nice terrace that belongs to it, which is very popular in the summer months. 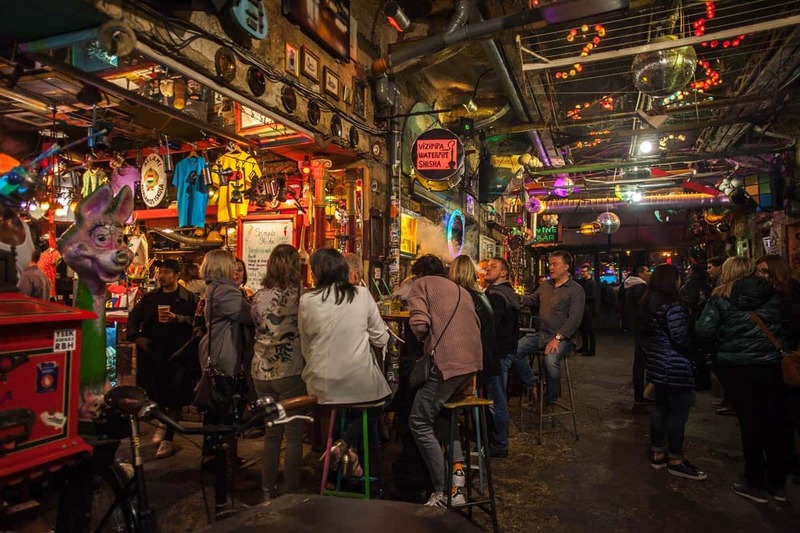 Szimpla Kert is a mythical ruin pub that most travelers already know before visiting Budapest. 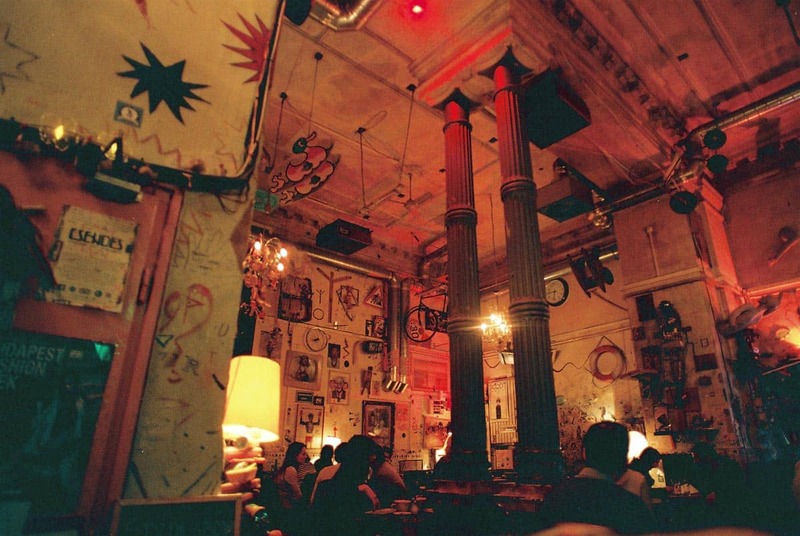 The pioneer of the ruin bars of Budapest, has been mentioned several times on the list of the best pubs in the world. 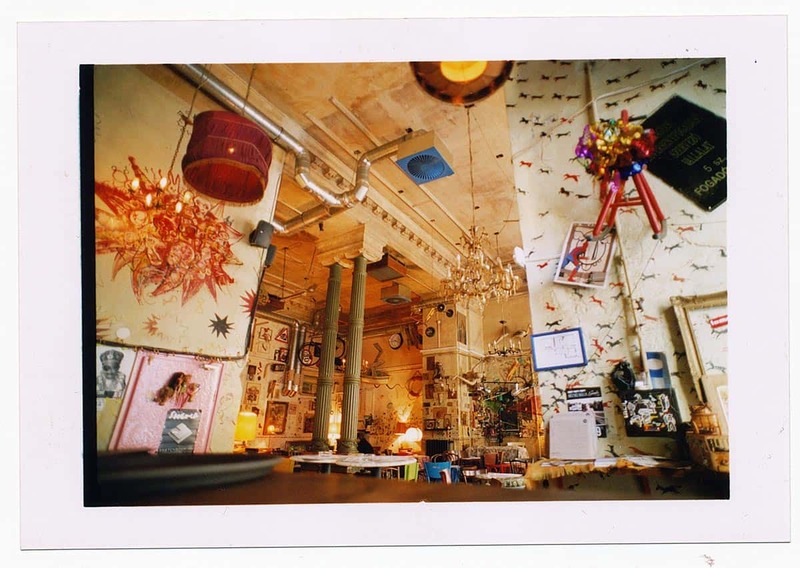 The year was 2001 when Little Szimpla, the first ruin pub opened its doors in Budapest in a different place, and later in 2004 Szimpla Kert opened in the current place. Its unique atmosphere and decoration done with the use of a lot of creativity and the huge selection of cultural events organized here, converted this place in one of the most famous bars in Budapest in a very short amount of time. The owners of Szimpla Kert didn’t stop here and they gradually converted this bar in a real cultural center that is now characteristic of many other ruin bars, too. The visitors can enjoy interesting exhibitions, film festivals, free concerts given by young talents or recognized artists, a market where only local produce is sold, and many other events. Here we finish our list with the 10 best ruin bars in Budapest. Have we left out your favorite? Please share it with us in the comment section.